Border Patrol Agent guilty of engaging in organized criminal activity, acquitted of murder in Padre Island decapitation case. 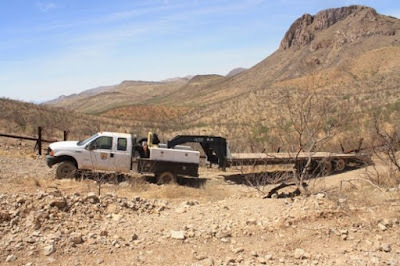 In the Rio Grande Valley of South Texas a Cameron County jury on Tuesday (today) found Border Patrol Agent Joel Luna guilty of engaging in organized criminal activity but acquitted him of the murder charge that could have put him in prison for life without the chance of parole. He is expected to be sentenced to 20 years in the state penitentiary. His younger brother Eduardo, an alleged hitman for the Gulf Cartel, was convicted on all four counts, including capital murder. 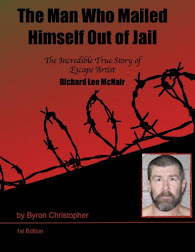 He was given a mandatory life sentence without parole. 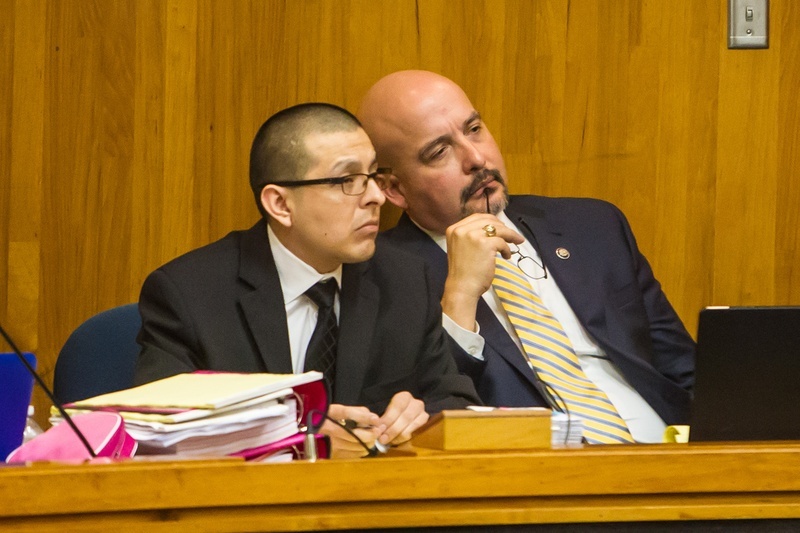 Prosecutors had already taken the death penalty off the table in the case. 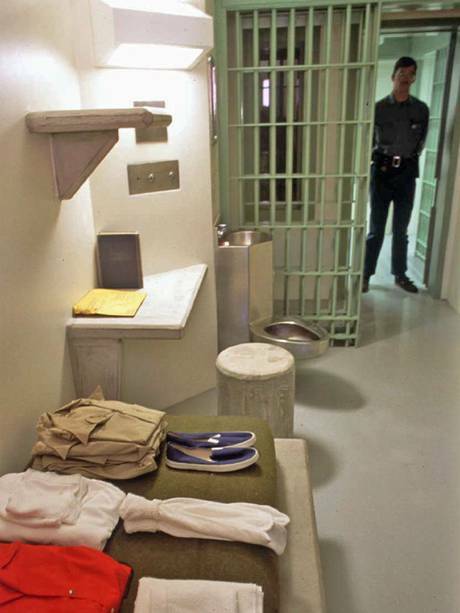 In San Antonio today, 44-year-old Sergio Heredia (aka “Keko,” “Sobrino”) of Piedras Negras, Mexico, was sentenced to 15 years in federal prison for trafficking hundreds of kilograms of cocaine announced United States Attorney Richard L. Durbin, Jr., Drug Enforcement Administration (DEA) Special Agent in Charge Joseph Arabit, Houston Division and Homeland Security Investigations (HSI) Special Agent in Charge Shane Folden, San Antonio Division. In August 2015, Heredia pleaded guilty to one count of conspiracy to possess with intent to distribute cocaine. By pleading guilty, Heredia admitted that from January 2007 to May 2015, he conspired with others to distribute more than five kilograms of cocaine in the United States. According to evidence in this case, Heredia and others trafficked cocaine and marijuana for distribution in San Antonio, Fort Worth and elsewhere. 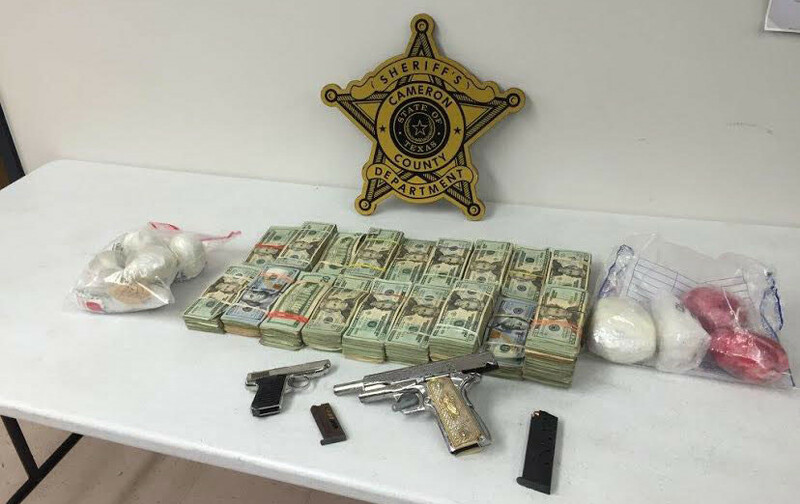 It was done, in part, through a San Antonio-based network of drug distributors and money launderers led by 34–year-old San Antonio resident Walter Jacobo. This investigation revealed that the source of drug supply to Jacobo’s organization, as well as several other organizations involved in this scheme, was the Los Zetas Cartel. 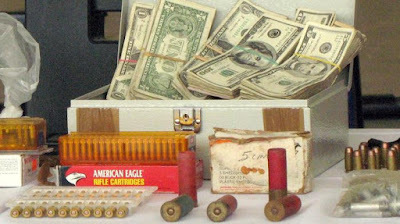 Together, they were responsible for the trafficking of more than 180,000 pounds of marijuana, hundreds of kilograms of cocaine, in excess of $18 million in U.S. currency, dozens of firearms and thousands of rounds of ammunition. Jesús "El Chuy Raúl" Beltrán León, a Sinaloa Cartel member accused of working as the lieutenant in charge of security and former bodyguard of Joaquin "El Chapo" Guzmán's son, has been extradited to the United States. Beltrán León is facing charges related to drug trafficking, including money laundering, in the U.S. District Court for the Northern District of Illinois. Four former investigators with the State of México Attorney General’s office were sentenced yesterday to three years and eight months in jail and fined 100,000 pesos each (US $4,700) for torturing survivors of the Tlatlaya Massacre. 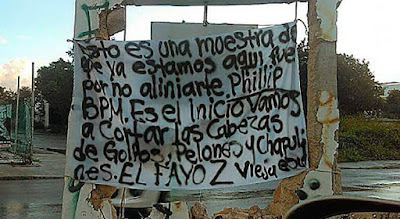 The former ministerial police officers did not contest the charges against them, which stemmed from the torture of three women arrested after a clash between soldiers and presumed criminals in San Pedro Limón, Tlatlaya, in June 2014. The clash was initially described as an ambush by the Army, which resulted in a gun battle that left 22 civilians dead. But evidence surfaced soon after that most of the alleged criminals had been executed. **Eight soldiers were charged in connection with the case, but seven have since been released for lack of evidence. ** One served a year-long sentence after being convicted of disobedience. Three other officers were also charged but they have chosen to dispute the charges. 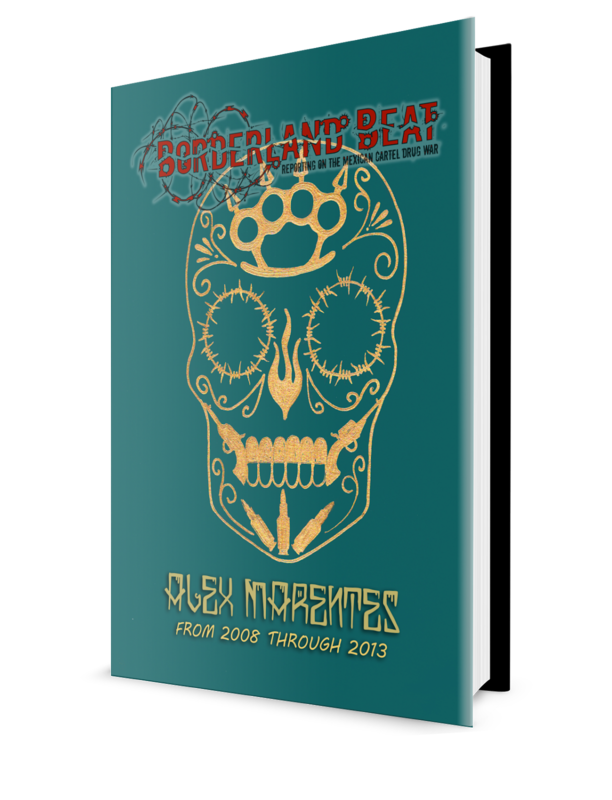 The torture victims in the case, now widely known as the Tlatlaya Massacre, later gave evidence that many of those killed by soldiers had been killed after they surrendered. "Zetas, released information alleging that the Cártel de Cancún boss had been detained by police. 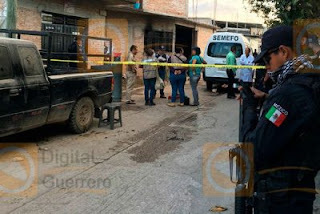 Cartel members, believing the information, reacted and attacked the Attorney General’s office in that city." 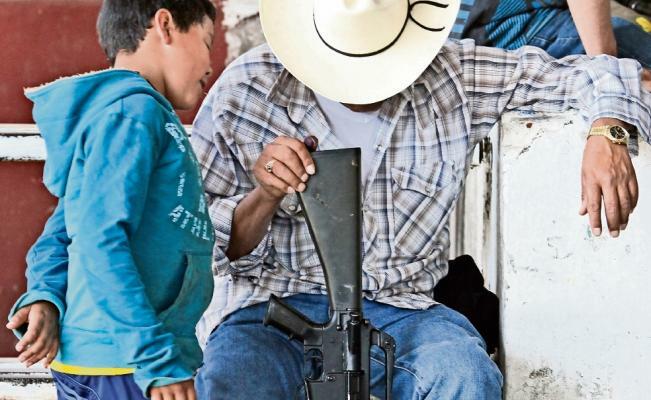 There are no more “gentlemen’s agreements” between authorities and criminal groups in Quintana Roo, a change that has led to increased violence as the latter fight over lucrative territory for drug dealing and extortion. A federal report obtained by the newspaper El Universal also revealed that an independent gang, referred to as the Cártel de Cancún and integrated by several former judicial officials and members of various other criminal groups, has under its control the nightclubs, bars and hotels in the hotel zone of Cancún, in Puerto Morelos, Alfredo V. Bonfil and Isla Mujeres. The cartel, said to be headed by former Federal Police officer Leticia Rodríguez Lara, is now attempting to move into Playa del Carmen. 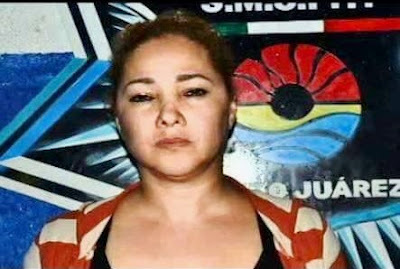 Doña Lety or La 40 as the gang leader is known is believed to have controlled the drug trade in the north of Quintana Roo for at least five years, and has also succeeded in infiltrating police forces and the state Attorney General’s office. 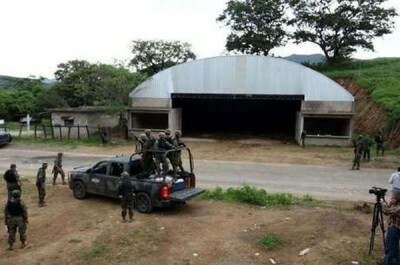 Juan Pablo Pérez García, alias "El Oaxaco" and code name "Bravo 01", of the Old School Zetas was reportedly arrested somewhere in Nuevo León, near the border of Tamaulipas, late Friday, January 20th by special forces of the Marina which utilized ground forces and helicopters in the search for his location. 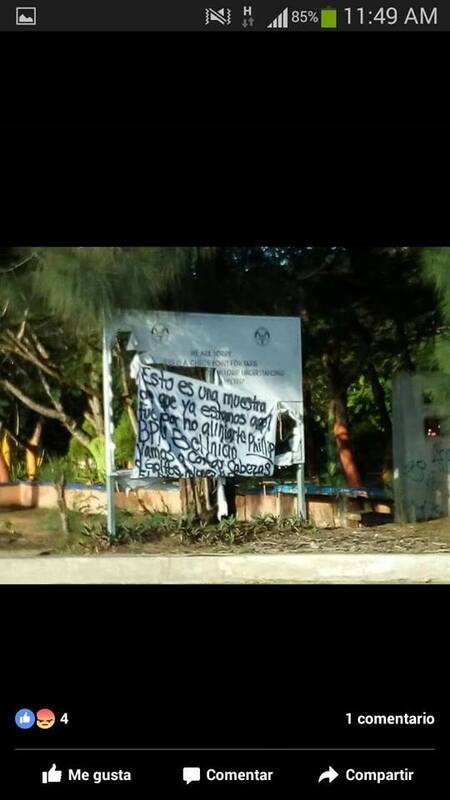 Apparently authorities had been increasingly closing in on him in recent weeks, as it was reported that state and municipal police officers in Nuevo León had been arresting a number of members of the Old School Zetas, particularly in the Monterrey municipal area. 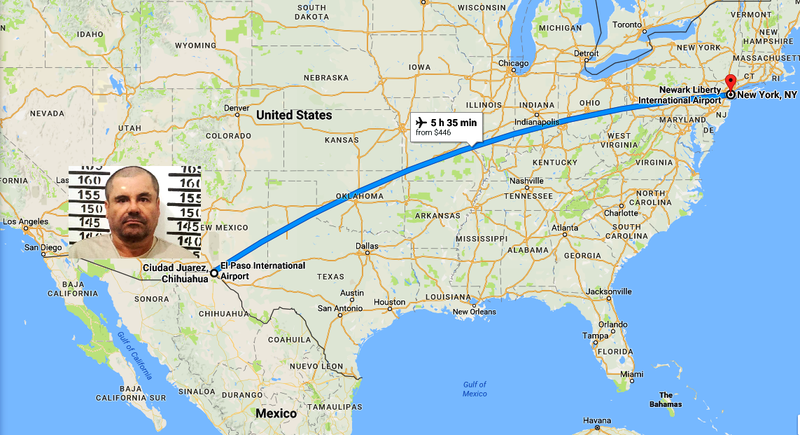 "El Oaxaco" was taken to the airport of Reynosa, Tamaulipas overnight and flown to a military base in Mexico City around 9:00 AM on Saturday. In less than 72 hours after the assassination of his son, Ms. Reyna Gonzales was notified: the dismembered body of a dog has been thrown next to the tombstone where his son was buried. The dead body of the animal left a purple color and the blood fell between the trenches that form the marked letters "Efrain Alvarez Gonzalez". Over the ribs of the dog a narcomanta was left for the family: "The whole family is next". The message was quickly fading away due to the decomposed body of the dog. The Alvarez Gonzalez knew that the message was not for the deceased. A few hours after his assassination, the rumors were quickly spreading like gunpowder. 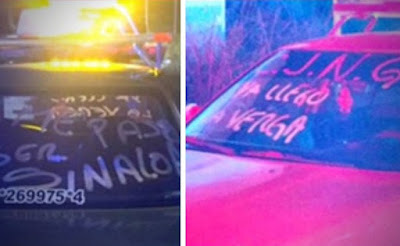 Efrain had been assassinated by the Cartel Arellano Felix -also known as the Cartel de Tijuana-, one of the most violent cartels in the history of drug trafficking. A son of Sinaloa drug capo "El Azul", Juan Jose Esparragoza Monzon, was reportedly arrested in Culiacan on Wednesday night. He was arrested with several other individuals in downtown Culiacan, while he was dining at a restaurant called Paseo del Angel. 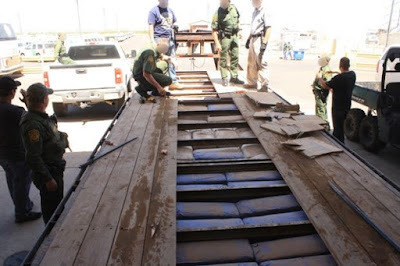 The detention by Federal Police specialized in narcotics was completed without firing a shot. 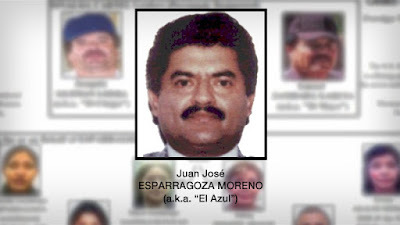 Esparragoza Monzon is the son of Juan Jose "El Azul" Esparragoza Moreno and Gloria Monzon Araujo, who has been sanctioned by the US Treasury Department for using a network of gas stations in Culiacan to launder proceeds that are allegedly obtained through criminal enterprise. 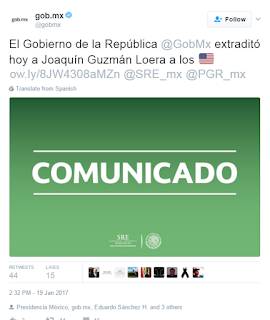 The 44 year-old son is reportedly married to Gloria Beltran Leyva, the sister of the leaders of the notorious Beltran Leyva Organization, who carried out a protracted battle with other Sinaloa capos, particularly Joaquim "El Chapo" Guzman Loera, following the arrest of brother Alfredo "El Mochomo" Beltran Leyva in 2008. There are indictments against Chapo in six federal districts. The feds say they decided to prosecute Chapo in Brooklyn, with the assistance of Miami federal prosecutors, determining the two offices working in conjunction would bring the strongest case against Chapo. Below is the Florida indictment. Notable is they are charging him with 5 counts and asking for a life sentence. There are two other co-defendants in the indictment. One is Jorge Milton Cifuentes Villa. 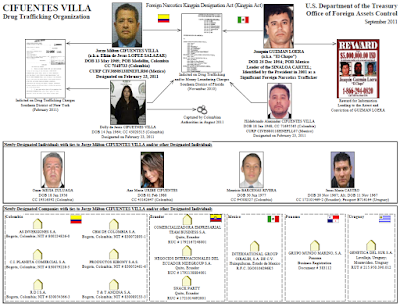 He is the leader of the Colombian Cifuentes Villa drug organization. 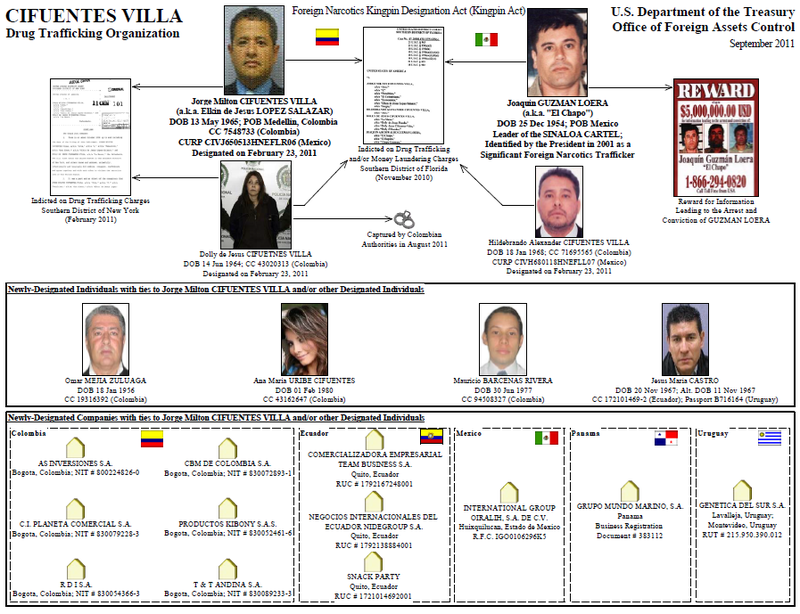 It was the Sinaloa Cartel connection to Cifuentes Villa, that authorities were able to connect Chapo's father in law, Inés Coronel Barreras, father of Emma, as the connection or liaison between the Colombians and Chapo. And according to the Florida indictment was one of Chapo's money launderers, funneling money into the United States. Below is taken from a BB 2013 article. The Florida indictment follows. 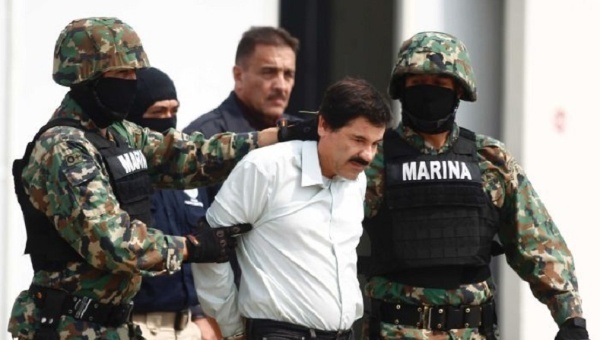 This morning Federal prosecutors in Brooklyn New York, issued their plan in keeping the Sinaloa Cartel leader known as “El Chapo” Guzman in custody. The feds distributed the memo (full document below) saying that measures have been made to assure there will be no prison outbreaks while Chapo is in United States custody. 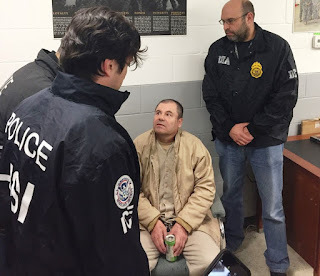 Angel Melendez, the special Homeland Security Investigation agent, said at a news conference “I can assure you no tunnel will be built to his bathroom”, this in reference to Chapo’s tunnel escape from Mexico’s maximum security prison No. 1 known as “Altiplano”, in the state of Mexico. Before Chapo’s escape from Altiplano, there had never been a successful escape from the prison. 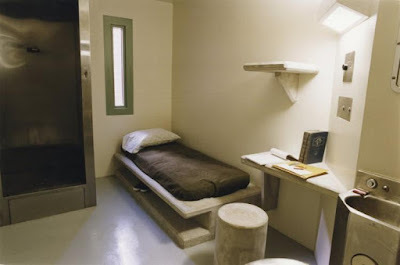 Chapo’s escape tunnel was created from one mile away, and opened into his shower floor. 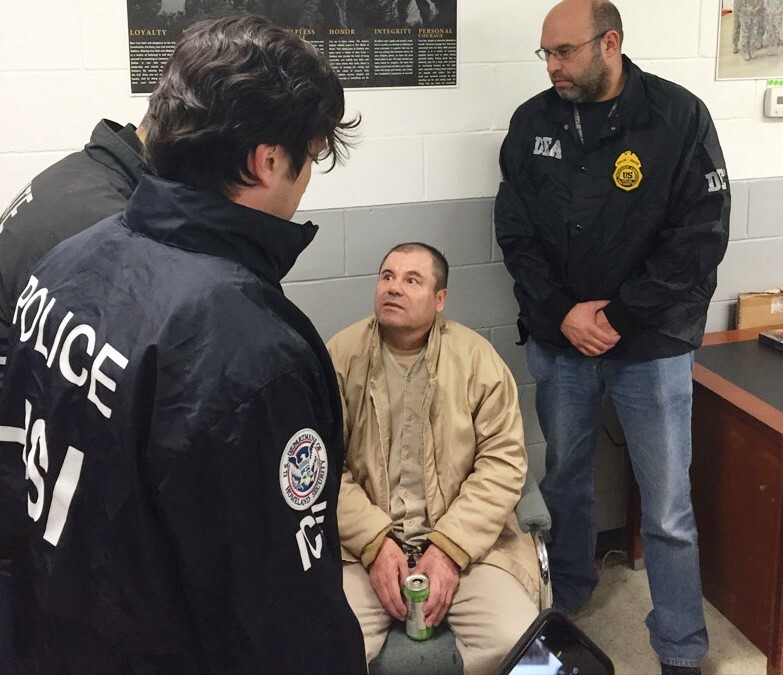 That is no surprise to anyone following the extradition saga of El Chapo, his surrogates speaking on his behalf, have often mentioned the fear El Chapo had of being extradited to the United States. He was under the impression he could even receive a sentence of death. On Thursday night, the bodies of a woman and a two year old boy were found dismembered in a ravine located east of the capital. The finding was reported at around 8:30 pm in the neighborhood Norberto Flores Baños, considered as part of the city of Chilpancingo’s miserable belt, where criminal gangs fight for control of this strategic place in the city. According to the preliminary reports, it is indicated that neighbors of the place found remains of a child dismembered on the main street of the colony. Ministerial authorities arrived at the location, which them confirmed the event and also recovered the remains of a woman also dismembered inside plastic bags. 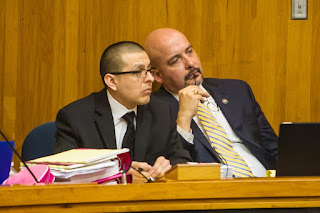 So far, state authorities have not issued a position on the findings of the bodies of a child and a woman who were found dismembered in this spiral of violence that does not stop in the state. Cuernavaca, Morelos; January 18, 2017 – The dismembered body of a man was left in three different locations of the state capital. The remains were found on Wednesday morning. 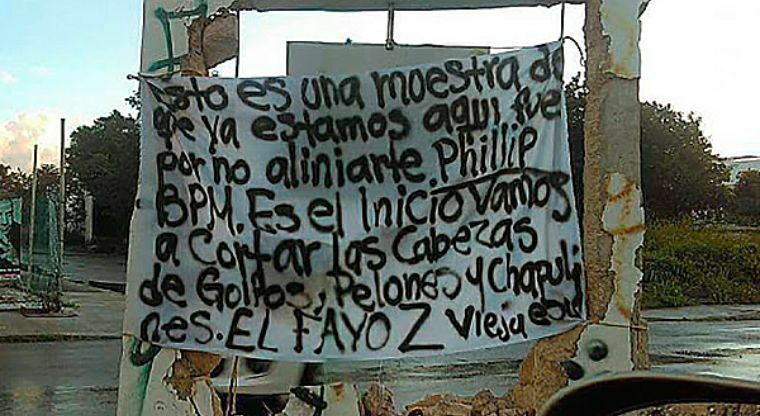 At one of the locations, a message from the Jalisco New Generation Cartel was found. 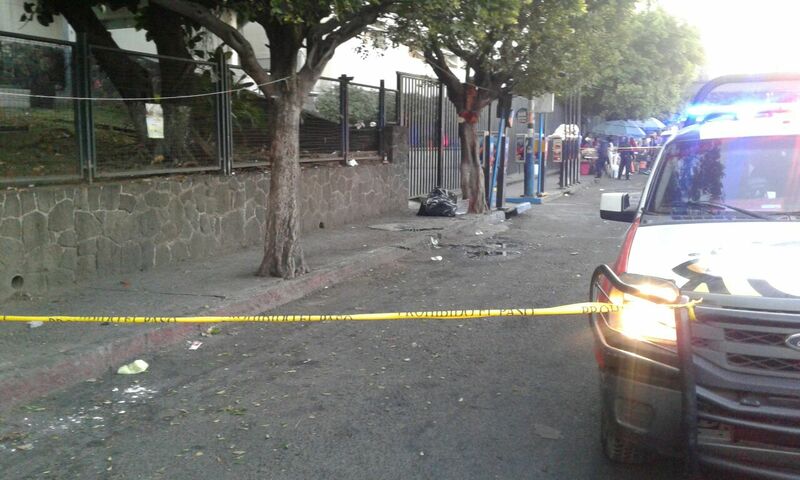 It was around 6:00 hours when emergency personnel were alerted on the discovery of human remains inside black bags in the vicinity of the Secretary of Public Safety, located on Heroico Colegio Militar Avenue. The location of body parts under the same conditions was also reported outside of the general hospital of Cuernavaca and a few meters from the main entrance of the Social Security Clinic #1 on Plan de Ayala Avenue. 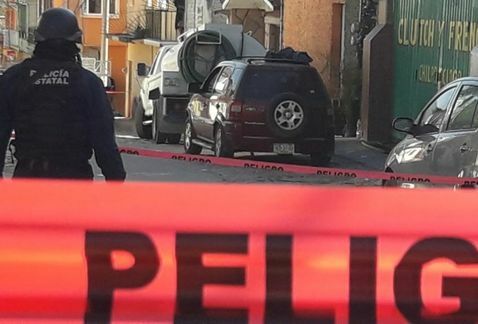 The head, from what is now known to be a single person, was found a few steps from a police base where a message was found that threated a man that allegedly works for Los Rojos. 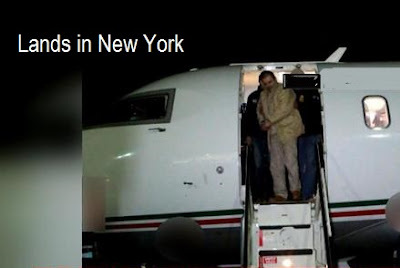 Within one day of the inauguration of President-elect Donald Trump, and on the last full day of Barrack Obama’s presidency, the Sinaloa Cartel leader known as “El Chapo” was extradited to the United States. 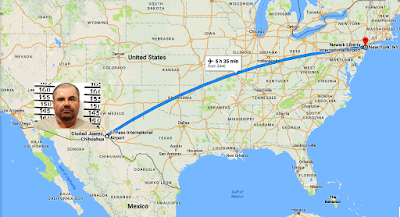 The aircraft transferring Chapo, departed at 5:31 pm (ET) from Mexico to New York. 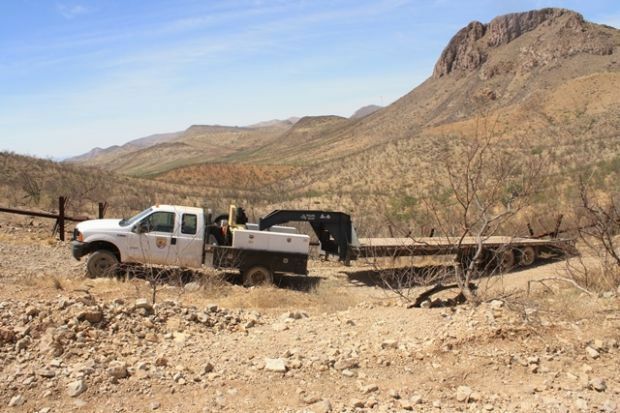 The DEA agency received custody of the capo in Ciudad Juárez, on the border with Texas. 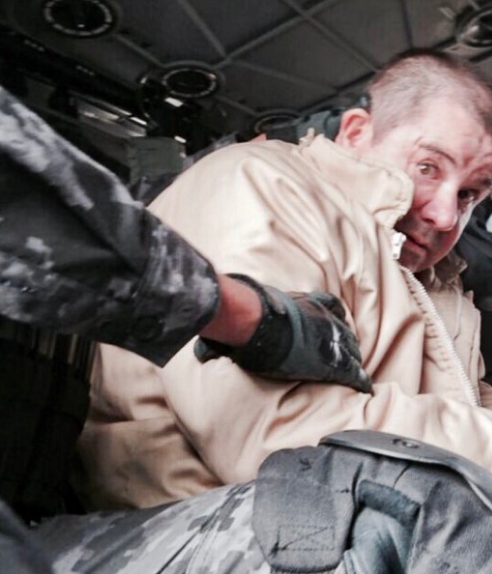 Today the Supreme Court of Mexico rejected the last two appeals filed by the Sinaloa captain against his extradition. 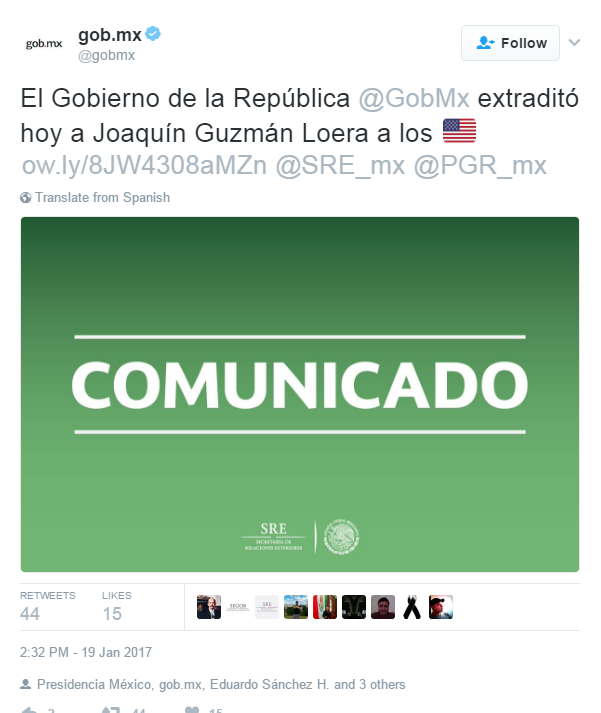 The U.S. Justice Department issued a statement confirming that Guzman was en route to the United States and expressed gratitude to Mexico for its cooperation. The New York Times and NBC news are reporting that Mexican authorities had today extradited Drug Lord Joaquin ‘El Chapo’ Guzman to the United States. 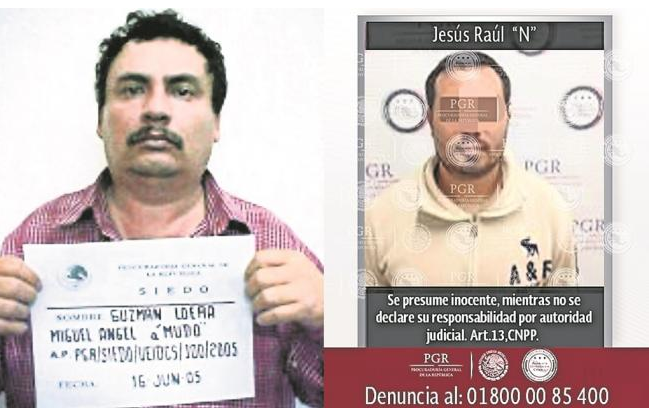 Several U.S. jurisdictions want to try the former leader of the Sinaloa cartel on federal drug trafficking charges, including prosecutors in San Diego, New York, El Paso, Texas, Miami and Chicago. 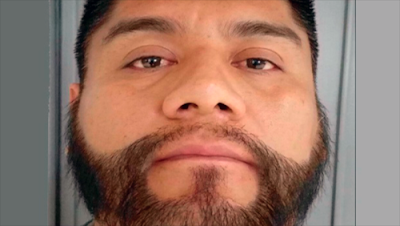 Guzman was recaptured in January of 2016 in the town of Los Mochis, almost six months after he used a tunnel to escape from a maximum-security Mexican prison in a brazen and elaborate jailbreak. This is a developing story and we will provide more details and coverage from the Mexican press. Ok folks….at first I thought this story must have been created from poor translating, but when several mainstream media sites posting the same story, and giving source credit to one of El Chapo’s attorney’s, I thought I would post it, if nothing else perhaps for a good laugh. 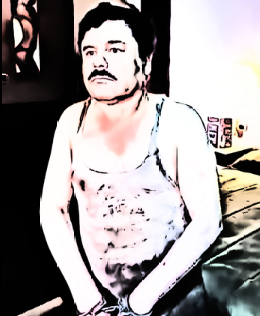 Joaquin Guzman Loera aka “El Chapo”, imprisoned leader of the Sinaloa cartel, has been complaining of his treatment and accommodations since “go”, and now his list of complaints supposedly includes, “sexual harassment”. According to reports in U.S. papers, Chapo's attorney, Sylvia Delgado says, her client insists he is being harassed by a prison guard who “squeezes” him and touches him in a manner that makes him feel “uncomfortable” and “embarrassed”. Chapo further says,the guard constantly awakes him at night, and instead of just touching his shoulder, the guard, squeezes and gropes him. 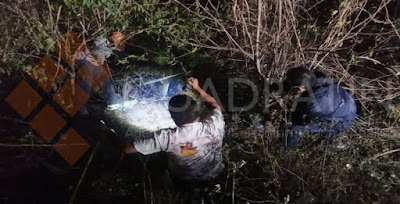 A Catholic priest who disappeared January 3 in Coahuila was found dead last week half buried on a vacant piece of land in the municipality of Parras de la Fuente. 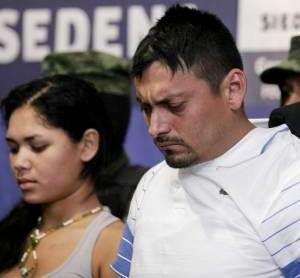 Hernández had intended to take a vacation starting January 3, according to church officials, but when friends and colleagues became worried after he did not answer his cell phone. 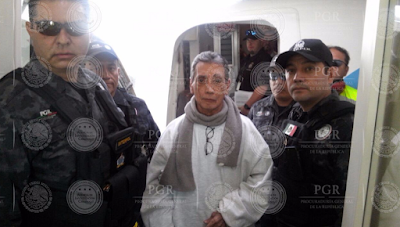 According to a statement by the Saltillo diocese, a friar visited his living quarters at the parish and found that while Father Hernández was missing, his suitcase and some other personal items were still at the residence. A cellphone, tablet and computer were missing. The circumstances of Hernández’ death are similar to those of a Michoacán priest killed last September. 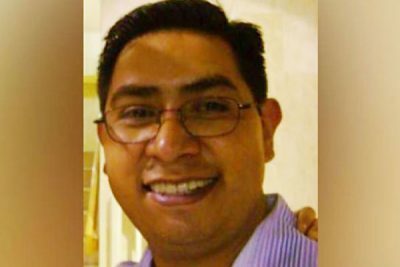 Alfredo López Guillén, a parish priest in Puruándiro, was murdered after a falling-out with two soldiers during a social visit in López’ home. The former governor of Quintana Roo, Mario Ernesto Villanueva Madrid was extradited from the U.S. returning to Mexico. He was received by PGR (Attorney General Office) and AIC (Criminal Investigation Agency)elements at 12:30pm at the Mexico City Airport. 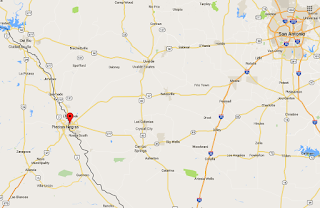 The prisoner had been detained at the Migrant Care Center in Louisiana since Dec. 30 when he left the Lexington hospital prison. The family of Villanueva Madrid reported making a request for house arrest because of chronic health issues. For years, Villanuenva, has Chronic Obstructive Pulmonary Disease (COPD) which had been acquired during his imprisonment in the high security prison of Altiplano, in the State from Mexico. And a special thanks to BB reader Tu Fren for sending us the link to the story. CANCÚN, Quintana Roo (La Silla Rota) .- "The Los Pelones drug was better than the Zetas , it was purer, more cocaine, it was cheaper," says Adrian "N", remembering and comparing the two Types of crack that he consumed for more than five years in different picaderos of Cancun , Quintana Roo . Adrian, went from being an exemplary father, present at the morning meetings of his children's school, a good neighbor and worker, to a man who left his family. 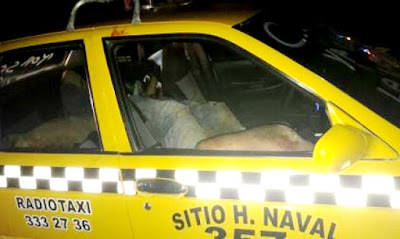 For him to get drugs in Cancun was never a problem, just take any unit of the "Andrés Quintana Roo" Taxi Drivers' Union, and ask the driver to take you to an area where they sell crack. Another way is to go to a strip bar in the center of the city and ask prostitutes to help you get a dose, go and consume it at an economic motel in the area known as "The Cruise." The other is to go directly to an arena (an abandoned area where people who consume "stone", cocaine and other substances) meet. The simplest, quickest and most economical way to do this was, for him, the latter. 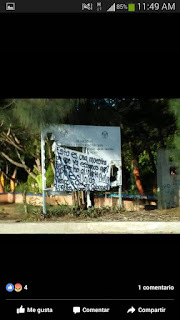 The place was "Plaza Kabah", an abandoned facility in the 93rd Region of Cancun, located on Kabah Avenue and Francisco I. Madero. Mother and 13 year old daughter victims in another murder that no one can explain. Just days after a college professor, her husband and their teenage son were buried in the state capital of Chilpancingo, apparently victims of an organized crime killing, a market vendor and her teenage daughter were killed in their home in the neighboring municipality of Tixtla. The woman and her daughter, identified only as Gudelia, 52, and Kenia, 13, were at their home early last Thursday evening when a group of armed men pulled up in several trucks, entered the house and shot them. After remaining in the home for some 40 minutes the shooters poured gasoline over the bodies and in the home, torching it before leaving. Since then, Gudelia’s neighbors have been wondering: where were the municipal or state police, or the military, or the community police force active in that town? It took an hour for municipal police and Civil Protection officials to show up, yet their headquarters are located only 300 meters away from the scene of the crime. “Gudelia was widely known in Tixtla for her food. Lots of people ate at her stand,” a neighbor told the newspaper El Universal. He said friends and neighbors are worried. “Never has anything like this happened; the people are very angry about what was done to the girl . . . they overdid it with her,” he said. Police discovered six human heads left on top of a vehicle abandoned in the central region of Chilpancingo Guerrero. 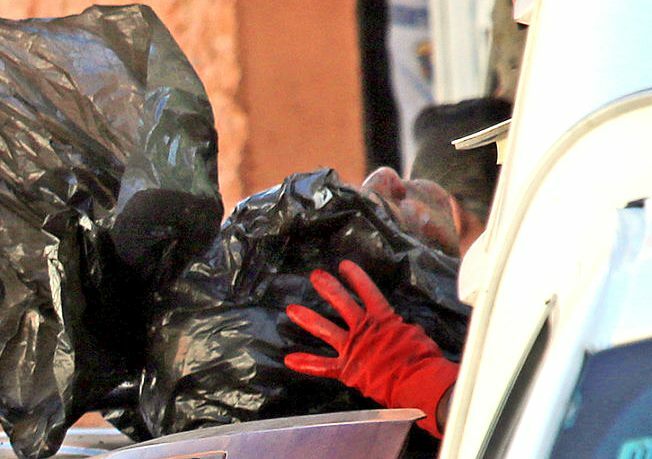 The discovering was made Monday, after police responded to a citizen’s call made to the emergency line, notifying authorities of human heads in black plastic being seen by the residents on Nicolas Bravo Street in colonia Progreso. 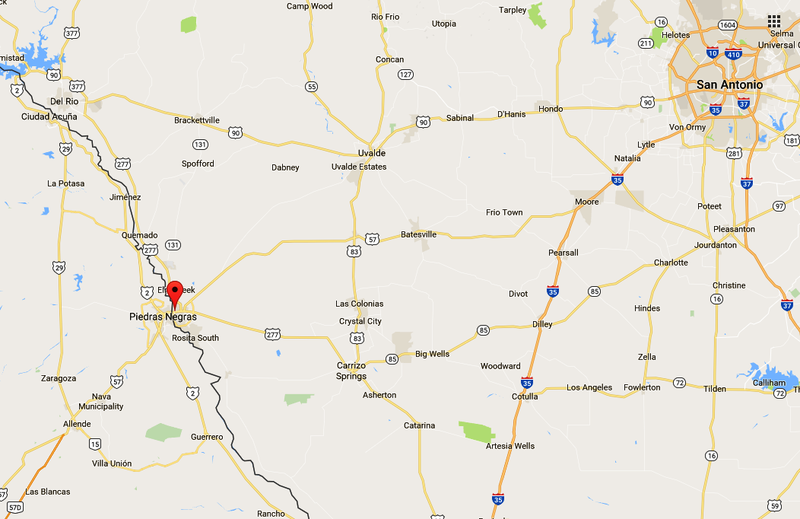 In addition to the heads, police discovered six dismembered bodies within the vehicle, which had Guerrero license plates. A message was left with the grisly discovery, but authorities have not made its contents public. 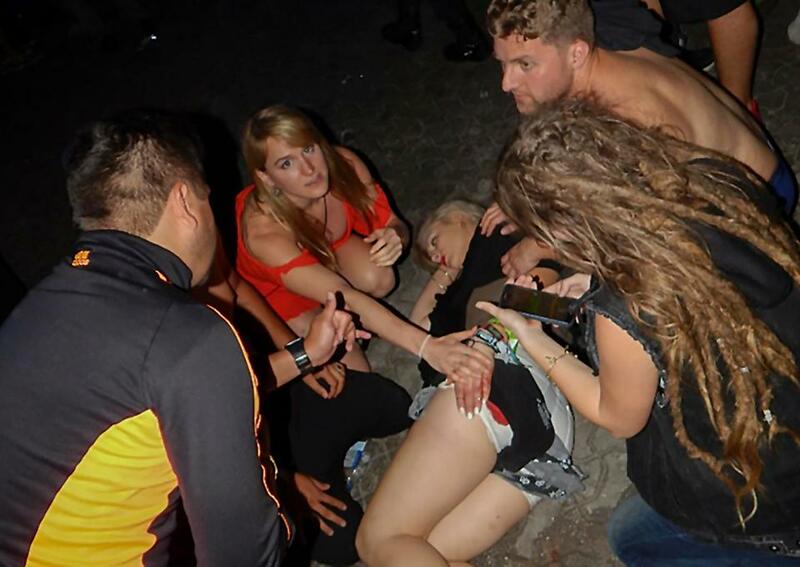 Reports from the ground and in the media are insisting the shooting was cartel related. Authorities say it is the work of a lone gunman. Details are slow to be forthcoming. Including the number of dead, between 5 and 8, and the number injured, between 12 and 18. 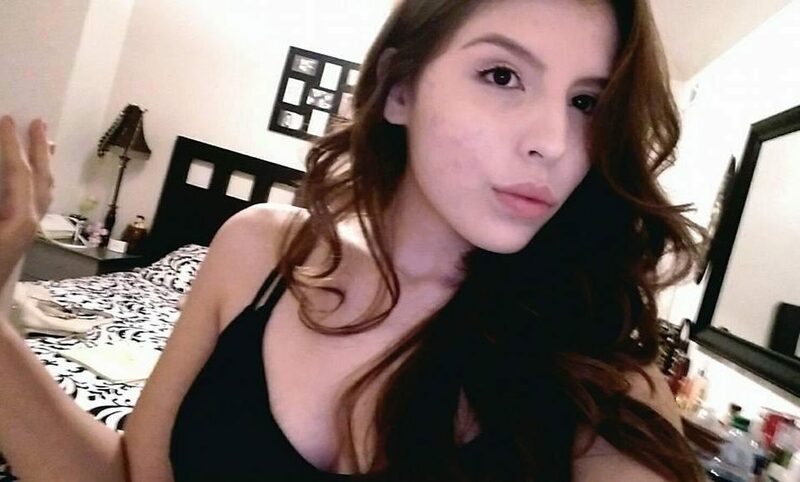 College student Alejandra Villanueva Ibarra, 18 from Denver, was trampled to death in the chaos following the outbreak of gunfire. “She was talking about how she was having so much fun and can’t wait to come back home and tell us everything about her vacation,” her brother told the DailyMail of their phone conversation just a couple hours before his sister's death. Alejandra was in Mexico taking a break from working hard in college, as well as looking after two younger siblings when she was tragically killed. Festival organizer Kirk Wilson, (below) who is originally from Canada, is believed to have been killed along with three security guards, according to local reports.